If you’re one of the many Android users who hate the official Facebook Android app, then you’d kill Facebook to implement this design into its official app for Android devices. The Facebook Android app is hated for many common annoying errors such as not updating properly, non-working notification, and sometimes is extremely slow, the Facebook app design doesn’t look like it comes from a company that is worth billions of dollars. 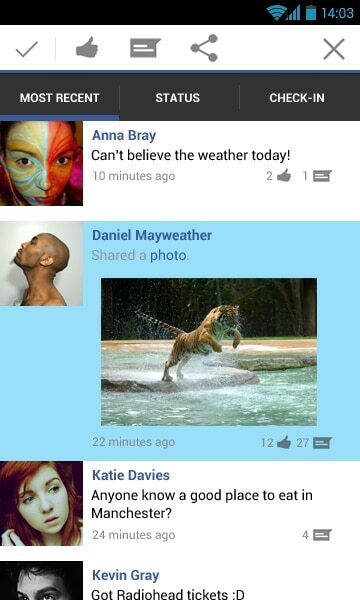 And its looks like Facebook is doing any better to have a better design of its app, so Reddit member monkfishbandana came up with these mocked up images of how the Facebook app should look like on Android devices running Android 4 (ICS). There are several things that need attention. 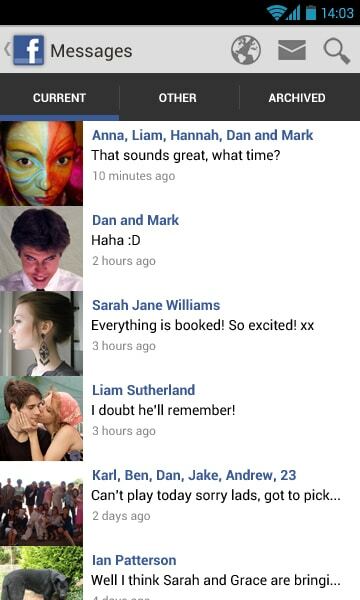 Firstly, I need to add location and ‘studying at’ icons to the Timeline. Secondly, there needs to be a decision made on the Action Bar. 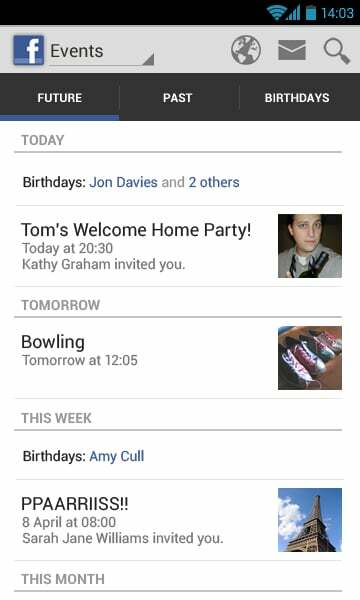 I’ve tried my best to balance the ICS look and the current Facebook app functionality, which has meant I’ve dropped the ‘Requests’ notifier from the top and moved it to the Friends section. Notifications for friend requests could appear in the global notifications, but that would move it out of line with Facebook’s web functionality…sigh. Thirdly, there are ‘Create Event’ and ‘Create Message’ buttons missing. I’m still trying to determine what the best plan of action in adding these is, but I’d definitely like to include them as I feel the mobile app should do all of the essential functionality of the website. You can also see the images that the author uploaded on Imgur gallery or DeviantArt gallery.